WOODBINE EQUIP & SUPPLY LLC is your authorized Grasshopper dealer in Frederick, Mt. 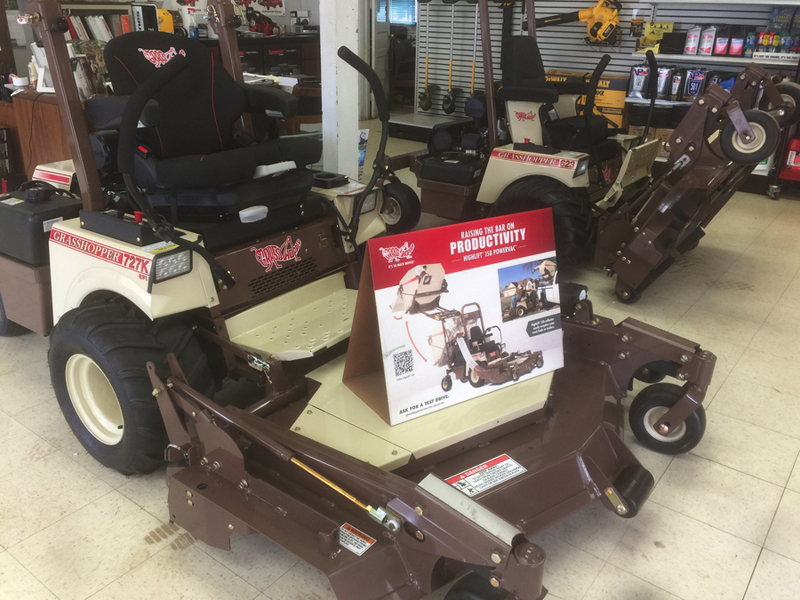 Airy, Sykesville, Eldersburg, Marriottsville, Columbia, Ellicott City & Damascus MD selling and servicing the complete line of Grasshopper MidMount™ and FrontMount™mowers for turf care professionals, business and government entities and homeowners. As your local Grasshopper dealer, we invite you to stop by and test drive one and experience for yourself the Grasshopper difference. Our staff would be happy to help you determine which Grasshopper is right for your needs.